Easy care Poly/Cotton dark purple and white 1/4" gingham check curtains with or without optional white poly/cotton washable lining. 2 curtain panels each 40" wide with 2" pocket for rod and 1" header above rod. Tiebacks are included. 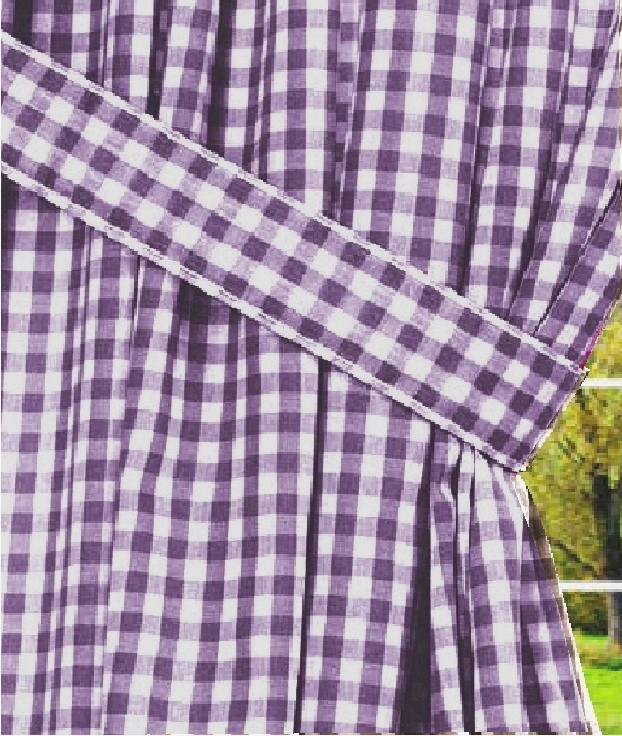 Dark Purple Gingham Check Window Curtains Includes 2 Curtain Panels. Made in USA.